I’m taking a break from the Arsène Wenger story for the time being (and it has changed A LOT). 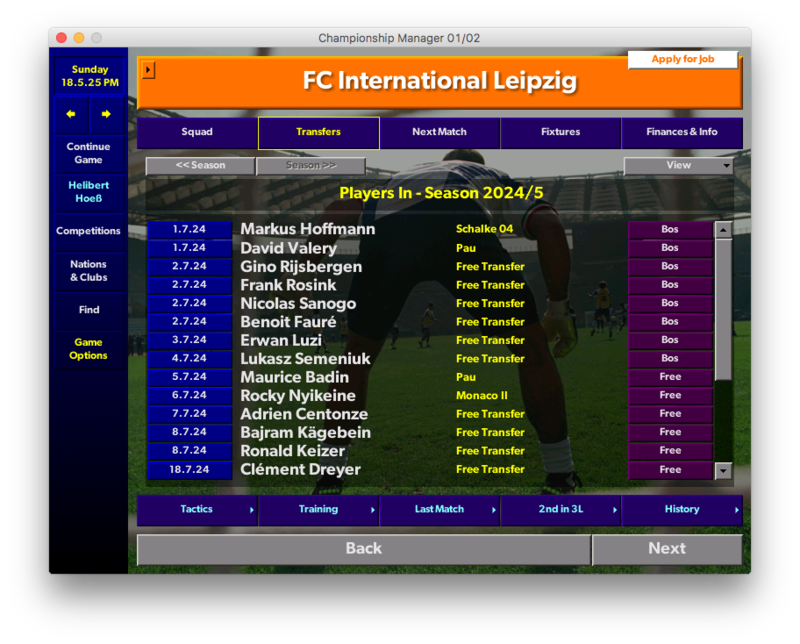 While loading a new season, I was looking through the available jobs and Inter Leipzig came up. I was only aware of the infamous RB Leipzig and 1. FC Lokomotive Leipzig so my interest was piqued. A quick Google search showed a relatively new club in a Dutch orange and minimalist logo. The designer in me was in love. So I made a new save from the Wenger one, retired Arsène (RIP) and added a new manager named Helibert Hoeß (changed from Hoess for authenticity). The aim of this save is to be more successful than RB Leipzig. That’s it. I’ll never be able to usurp Bayern’s legacy so a fashioned rivalry with the heels of Germany is perfect. The first season started in 2024/25, with Inter in 3. Liga Süd. Unfortunately, the club had about 3 players in total and no money. 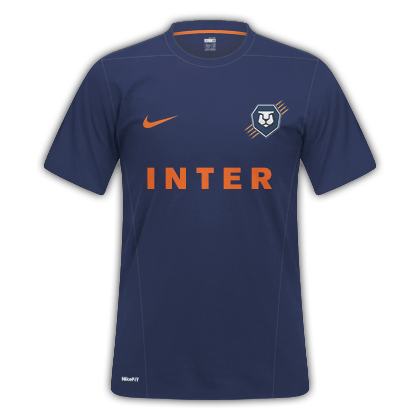 Even the club colours were wrong but I changed those using Graeme Kelly’s Save Game Editor. The stadium is “unknown” with an unknown capacity and a few thousand Euros. Quite the opposite of our Red Bull counterparts. I basically raided the “No Club” player search and, with some help from my scouts, I bought up as many youth players as I could find. No cups at this level so it was just a league season, which was a first for me. After a shaky opening defeat, we breezed through the season relatively unscathed. Stuttgart were somehow down in the 3rd tier with us and with their stature and finances, we were no match for them. They unsurprisingly finished 1st but we came in 2nd, 8 points clear of third place. Because of how the 3. Liga works, there are no “titles” so the top two from each region are promoted into 2. Bundesliga. My goalkeepers were poor stats-wise but we kept a remarkable number of clean sheets (15 out of 34) and conceded only 22 all season, the least in the league by a long way. No cups in the third tier. The main aim will be to stay up. I don’t know what the TV money is like but anything will be a bonus. I’ll also need to reinforce the squad as a lot of the players won’t be adequate for the second tier. And of course we’ll be one step closer to our “bitter” rivals, RB. Join me next time in Part 2.